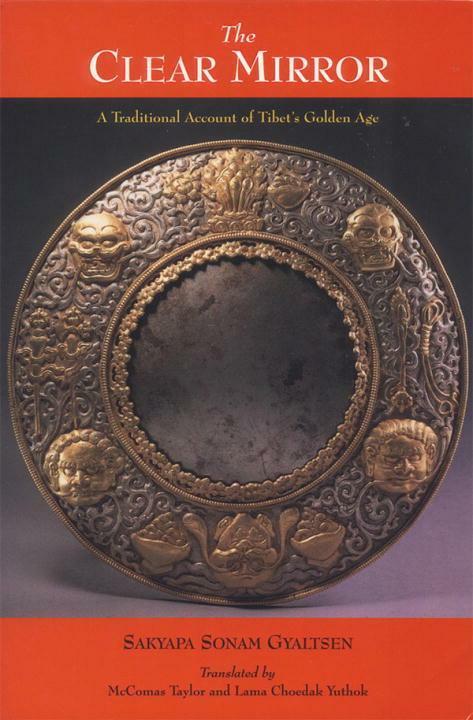 A rich blend of history, legend, poetry, adventure, and romance, The Clear Mirror is a treasure-trove of traditional Tibetan narrative and folk wisdom. It presents in full the often-cited but elusive accounts of the origins of the Tibetan people, the coming of the Dharma to Tibet, and the appearance of Avalokiteshvara as the patron deity of Tibet. The text treats the era during which Buddhism came to Tibet, Lhasa became the capital, and the Jokhang and Ramoche temples were founded. Written to inform and entertain, the book has a pre-eminent position in Tibetan society. Sakyapa Sonam Gyaltsen (1312-1375), born into the powerful Khon family that ruled much of Tibet, was teacher and mentor to many great masters of all traditions of Tibetan Buddhism. He is still widely revered for his scholarship and sanctity.